We offer a luxury service using only the finest quality 100% human hair extensions, expert colour matching, a safe application and natural looking results tailored to your needs and hair. Therefore you can be sure that you will walk away with the most beautiful and natural hair extensions. At Belle Vous salon we provide luxury, custom tailored hair extensions, using only the very finest, hand-picked Russian, European, Indian, Chinese, Peruvian and Brazilian natural human hair. All hair that we use at Belle Vous Salon is of superior quality and has been sourced very carefully. While the different types of hair varies in texture and longevity, all of our hair is cuticle correct, 100% human hair, which means it can be treated just like your own hair. All of our hair is also double drawn, this means each bundle of hair contains only hairs of the same length, and all the shorter hairs have been removed. Due to the superior quality of our hair you can re-use it, bringing the overall cost down. Clip In Hair Extensions, Weft Hair, Tape Hair Extensions, Keratin Hair Extensions, Micro Ring Hair Extensions in all Human hair. *Please note below prises are for 100grams of hair. The price will increase if more hair is needed for those with a thick density of hair. *All prices include the hair, blending, cut and styling. If you wish to bring your own hair you are more then welcome to do so. The Shampoo and Conditioner are perfect for daily use, enriched with minerals and green tea extracts to cleanse and nourish the hair and scalp. This product should be followed by Balmain Conditioner, Hair Mask and Shine Spray for the best results. Non-grease formula, Conditioning & moisturizing,minimizes frizz& Preserves Colour, & heat Protection, Suitable for extensions & natural hair. This 2-phase Detangling Spray, maintains the hair in optimum condition and validates our 6 month quality guarantee on your hair extensions, if used with the complete aftercare range.&nbsp;Use daily or when needed. Shake well before use. Balmain Hair Boar Hair brush ensures there is no snagging or catching to your extensions or natural hair whilst brushing. 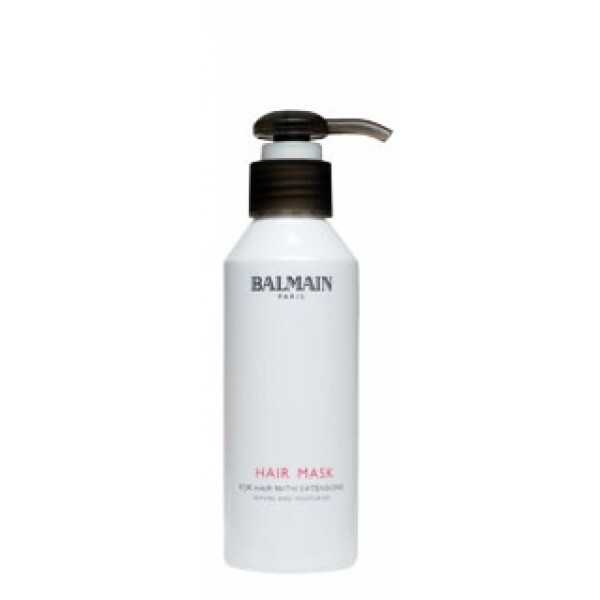 Using the recommended Balmain brush along with Balmain Hair after care will leave your hair extensions shiny and in optimum condition. It is recommended that you begin brushing at the ends of the hair, then moving up to the mid lengths and finally brushing the root area.